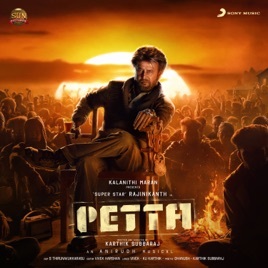 Arranging a wide sonic palette for Rajinikanth's latest action blockbuster Petta, Anirudh Ravichander turns to rowdy folk beats (“Marana Mass” and “Madura Petta”), trap and brass grooves (“Petta Theme”) and rock harmonies (“Petta Paraak”) to bring the characters to life. 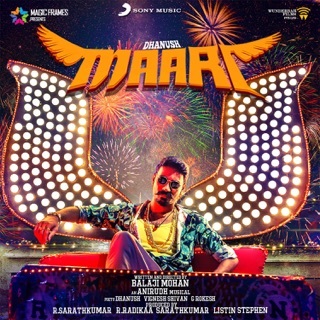 Elsewhere, there’s an uptempo jazz-funk cut featuring Anthony Daasan (“Aaha Kalyanam”), and a shot of humour in the Hindi song “Thappad Maara”. ℗ 2018 Sony Music Entertainment India Pvt. Ltd.
Best ever Rajinified music of our lifetime. The whole album is a treat for Rajini fans around the world. Right from Marana Mass written by Vivek to the DnA combo. 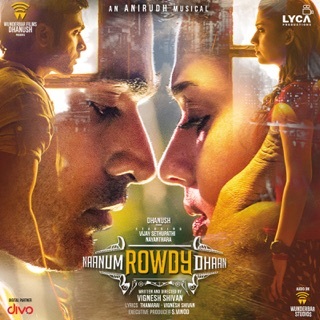 Rockstar Anirudh has done it. From the various themes to the wedding anthem Aaha Kalyanam sung by Anthony Dasan. Petta soundtrack is a sure-fire hit and most definitely a number one album. Buy, listen and experience Superstar's next outing after 2.0., Anirudh proves that he has got the magic touch. The mesmerising traditional drum beats of 'Marana Mass' built around the evergreen golden voice of SPB alongside Ani himself is a get up and dance song. Bright stars like Nakash Aziz and Inno Genga have lent their voices to 'Ullala Ullala', a cathcy baila-number. Get it right now!